Alocasia ‘Dark Star’ is a hybrid by LariAnn Garner of Aroidia Research, and represents her answer to the Alocasia macrorrhizos ‘blackstem’ Dark Star is a complex hybrid involving four different Alocasia plants, two of which are A. odora and A. macrorrhizos ‘blackstem’ LariAnn’s goal in producing this hybrid was to develop a plant with the attractive look of the ‘blackstem’ with hardiness comparable to A. odora and size comparable to Alocasia macrorrhizos ‘Borneo Giant’. 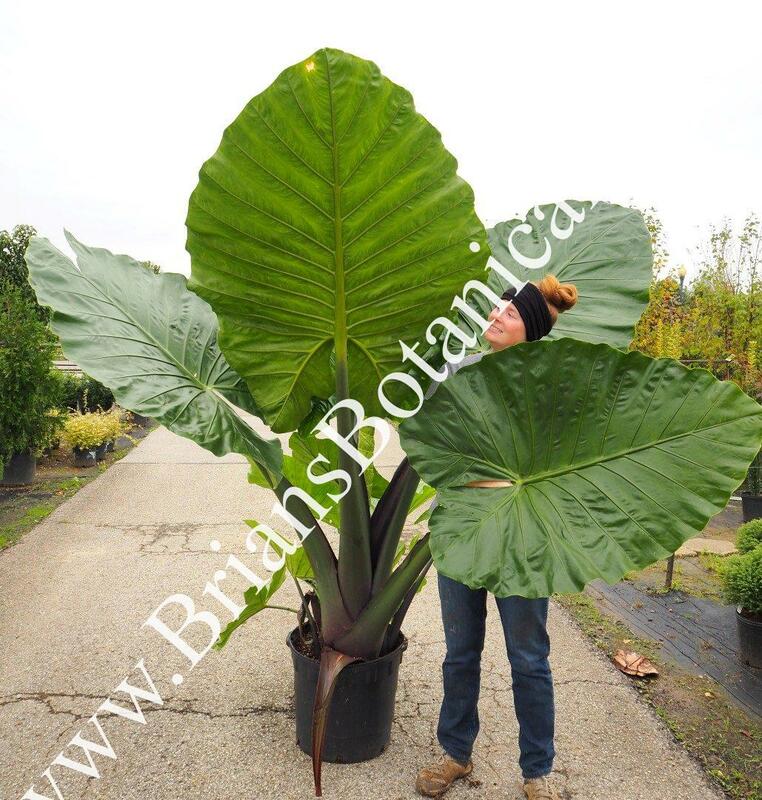 The successful blend of these traits is Alocasia ‘Dark Star’. After growing Alo. Dark Star out for a full season I can now say I will no longer grow Alocasia Black stem. The growth and size comparison are very different. I was able to achieve the large size I want even in my northern zone.